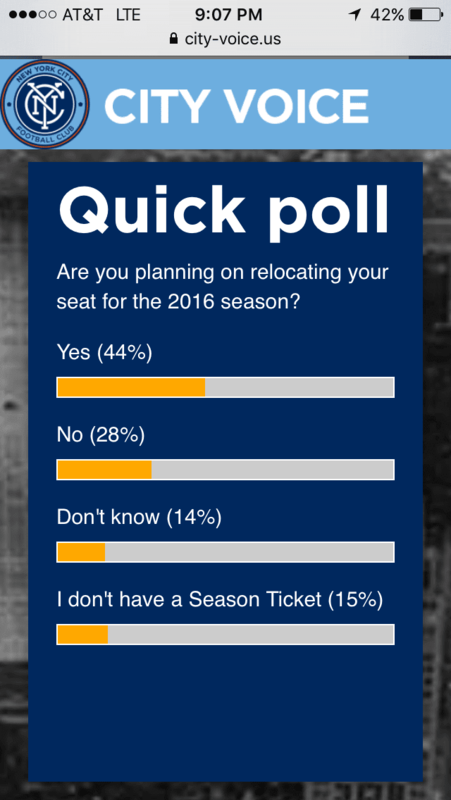 NYC is Blue: City Voice Poll: Relocation? That seems like a high number of seat moves, and I wonder how much of that is determined by Yankee Stadium. We didn't know what an MLS game would be like there, but now we've all had seventeen games to experiment, check out other sections and see where we really want to be. I also suspect there are some people who chose seats near the supporters' section and now wish they hadn't, but more who stayed away and wished they were in the thick of it. For my own part, I moved my seats and upped my season tickets from two to three. No word yet on how renewals are going. 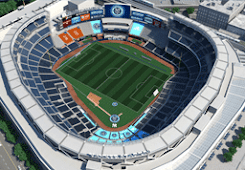 NYCFC sold 20,000 season tickets for their inaugural campaign; they need to be targeting at least that many in the sophomore season.